If you have felt depressed for a long period of time you know precisely what it feels like; it is as though life has slowed down, lost its vibrancy and color and sense of expansiveness. 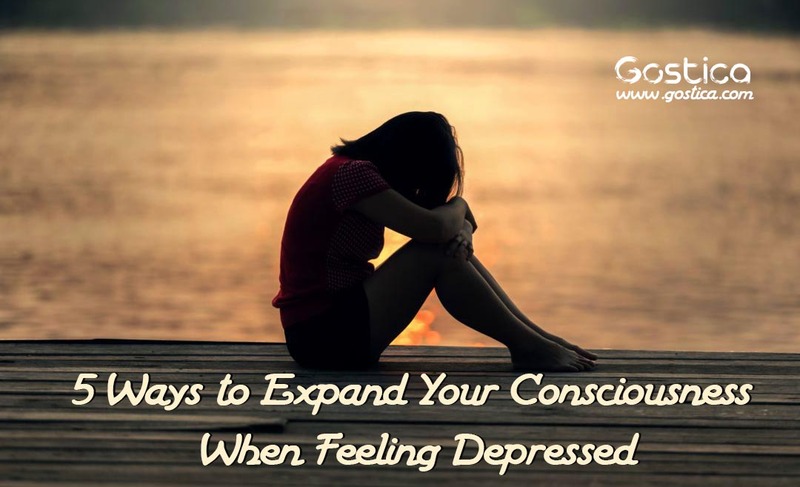 If you are depressed you might feel spiritless as if you are numb, hollow and empty inside and each waking moment makes you feel more and more diminished rather than expanded. Feeling depressed makes us lose touch with the joy of living and throughout our lives we all, to some extent, experience this loss. While some of us get back in touch with the vibrancy of living, others of us continue to struggle – mostly against ourselves. When I went through my own heavy bout of depression I was completely unaware at the time that the reason why I felt so oppressed was not because of other people victimizing me or life punishing me, but rather the endless barrage of toxic self-talk, festering core beliefs and deep unresolved core wounds inside that were making my life a living hell. I had created a prison within my mind full of limiting beliefs about myself (“I am bad,” “I deserve to be punished,” “I’m worthless”), endless self-put-downs (“You can’t do anything right,” “You are such a mess,” “You’re a loser”) and perpetual judgments about others (“People can’t be trusted,” “People are out to get me,” “No one else is like me or can understand me”). Before I knew it, life truly felt like a jail cell. But even despite the overwhelming oppressive weight of everyday life I knew, deep down, that there was something “much more” to life. Slowly, as I began to explore this elusive “something else” I came to discover different ways of expanding my very limited, constricted and narrow sense of self, and with these discoveries came my ultimate conclusion: what “we” think “we” are is such a lie and delusion. We are so much bigger than what we ever imagined. But I will leave you to discover the details of this realization for yourself. The trap that the depressed person falls into is living a very insular life. When you go outside and stare up at the endless blue expanse above, a part of your mind expands as well. Suddenly your problems don’t seem so big or end-of-the-world. There is something particularly mystical about the sky which I have always loved and continue to admire. So the next time there is a clear (or partly cloudy) day, go and sit in a chair, on a bench or simply lie down somewhere comfortable and let yourself be lost in the world above. I have written about this topic before. The Japanese believe that taking a regular stroll in the forest is very beneficial for one’s well-being. Forest bathing is said to increase feelings of calmness and joy while decreasing depression, anxiety and blood pressure. It is also said to increase mental concentration while lowering blood sugar levels. Personally, I don’t live near a woodland or forest, but I do live near a big park that helps me to shake off any stuffy, constricted feelings inside. Give it a try, even if it means pacing outside in your backyard. Depression tends to trick us into feeling that we are at the center of everything. An interesting way to break through this illusion is to watch documentaries about completely alien people and places. Some of the best ever documentaries that I have watched include Samsara (2011), Baraka (1992), Life in a Day (2011) and Cosmos: A Spacetime Odyssey (2014). There are so many free documentaries out there about different places, people, cultures, and outer space, so take your pick. You might notice your sense of self-expanding during and after watching them. In my darker years, I would listen to a lot of heavy metal and darkwave music. Although it was an outlet for the unhappiness I felt and made me feel “almost understood,” it nevertheless contributed to my melancholy and inner angst, paradoxically releasing it but building it up at the same time. Eventually, as I began to explore different ways of expanding my mind and sense of self, I stumbled across the ambient genre of music. I’ve gone through a number of different styles of ambient music throughout the years, but I would recommend listening to any type of nature sound (forest, ocean, rain, fire) or any instrument used in music therapy (take a look at this article for inspiration). Other artists, I love listening to include Deuter, Enya, Balmorhea, Deep Forest and Lisa Gerrard. Originally developed by psychiatrist Stanislav Grof, holotropic breathwork is a natural way of inducing an altered state of conscious, utilizing rhythmic and accelerated breathing with evocative music (usually drums beating). First developed in the 1970’s, holotropic breathwork is said to help your psyche repair itself through a profound state of consciousness that can usually be reached through deep meditation or psychedelic drugs. Even if you don’t opt to explore holotropic breathwork, focusing on your breathing is another simple technique I have found to effectively ground yourself in the present moment, helping to release you from the confines of your mind. There are so many ways to expand your consciousness when feeling depressed, and this article lists only a few of the main techniques I used to interrupt my cycles of misery. It is likely that on your own path of healing you will stumble across many other techniques. I hope that you can take the time to share any of your own discoveries with us below!